Association between sarcoidosis and antiphospholipid syndrome (APS) is rare with few reported cases. We sought to systematically review the published cases of APS with sarcoidosis to better characterize the demographics, clinical characteristics, treatment, and the outcome of this association. 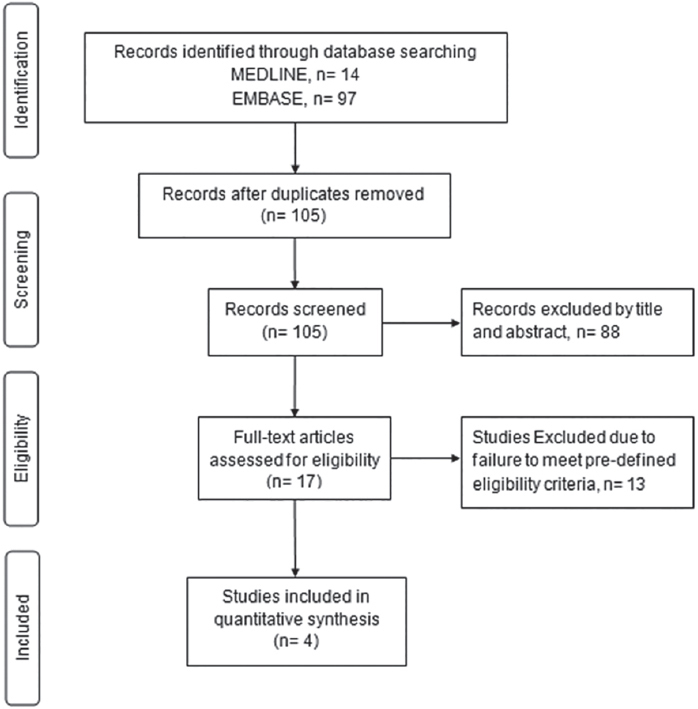 Systematic electronic search for case report, case series, and related articles published until May 2014 was carried out and relevant data were extracted and analyzed. Four cases of APS with sarcoidosis were identified exclusively in females. These cases were seen in the sixth decade of life. Pulmonary embolism and central retinal artery occlusion were the presenting thrombotic events. All the patients were treated with lifelong anticoagulation with warfarin. During the median follow-up period of 5.5 months, additional thrombotic events were not observed. Although rare, sarcoidosis may be associated with APS. 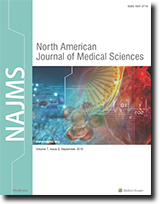 Further reporting of the cases will help to better establish this association, elucidate pathogenesis, and define clinical characteristics and outcomes. Background: Health costs have risen everywhere, worldwide, and nurses play a pivotal role in cost savings and in contributing to the financial stability of hospitals. Aim: This study evaluated the awareness and performance of Iranian nursing staff, with regard to health economics. 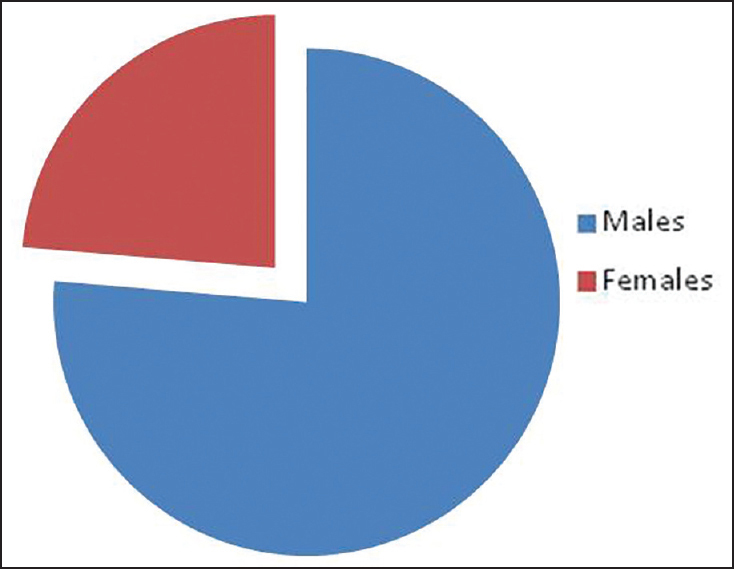 Materials and Methods: A total of 175 nurses who worked in three teaching hospitals in Mashhad (Iran) were selected for this descriptive cross-sectional study, and data were gathered via a 27-item questionnaire. Statistical analysis was performed using one-way analysis of variance, multiple regression analysis, and Pearson's correlation coefficient. Results: A total of 78% (n = 39) of nurses did not have a good awareness of health economics. The overall mean score for economic awareness was 5.9 ± 2.1 (possible range, 0-16), and for economic performance was 26.6 ± 4 (possible range, 0-44). There was a significant relationship between the economic awareness and performance of nurses, and nurses in higher positions had a greater awareness of health economics. Conclusions: Considering the inadequacy of the health economics awareness and performance of nurses, it is essential that efforts are made to enhance their knowledge and behavior with regard to economic issues and cost saving in all the fields of nursing, through the use of continuing education courses and workshops. Introduction: Stroke is one of the most important causes of disability in developed countries and, unfortunately, there is no effective treatment for this major problem of central nervous system (CNS); cell therapy may be helpful to recover this disease. In some conditions such as cardiac surgeries and neurosurgeries, there are some possibilities of happening brain stroke. Inflammation of CNS plays an important role in stroke pathogenesis, in addition, apoptosis and neural death could be the other reasons of poor neurological out come after stroke. In this study, we examined the preventive effects of the neural stem cells (NSCs) and mesenchymal stem cells (MSCs) intra-ventricular injected on stroke in rats. Aim: The aim of this study was to investigate the preventive effects of neural and MSCs for stroke in rats. Materials and Methods: The MSCs were isolated by flashing the femurs and tibias of the male rats with appropriate media. The NSCs were isolated from rat embryo ganglion eminence and they cultured NSCs media till the neurospheres formed. Both NSCs and MSCs were labeled with PKH26-GL. One day before stroke, the cells were injected into lateral ventricle stereotactically. Results: During following for 28 days, the neurological scores indicated that there are better recoveries in the groups received stem cells and they had less lesion volume in their brain measured by hematoxylin and eosin staining. Furthermore, the activities of caspase-3 were lower in the stem cell received groups than control group and the florescent microscopy images showed that the stem cells migrated to various zones of the brains. Conclusion: Both NSCs and MSCs are capable of protecting the CNS against ischemia and they may be good ways to prevent brain stroke consequences situations. Background: Autoimmune vesiculobullous disorders represent a heterogeneous group of dermatoses whose diagnosis is made based on clinical history, histologic features, and immunopathologic features. The most commonly used techniques for the diagnosis of these diseases are direct and indirect immunofluorescence (DIF and IIF), including salt-split processing. NaCl split skin is used to determine the level of blister formation, and the localization of autoantibodies relative to the split. 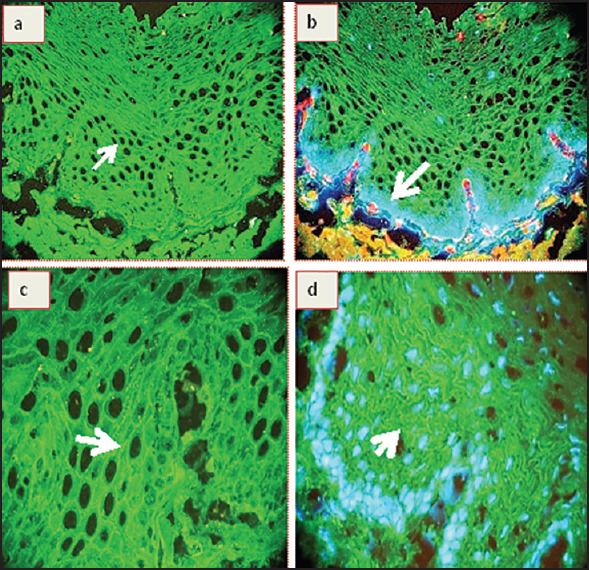 Classically, immunofluorescence has been performed with one fluorochrome in the diagnosis of autoimmune bullous skin diseases. Aims: To compare DIF and IIF of the skin, using a single fluorochrome versus multiple fluorochromes. Materials and Methods: We studied 20 autoimmune skin disease cases using fluorescein isothiocyanate (FITC) alone, in comparison to multiple fluorochromes (with or without DNA counterstaining). Results: The use of multiple fluorochromes helped to simultaneously visualize reactivity in multiple skin areas, in contrast to using FITC alone. Conclusions: Using multiple fluorochromes allows simultaneous labeling of two or more antigens within the same cell/or tissue section, assists in colocalization of unknown antigens with known molecules, and helps in ruling out "background" staining. Background: In the modern era, the major cause of gastric outlet obstruction (GOO) is known to be a malignancy, especially in the developed world. Many books and articles do suggest that the benign causes continue to be the major cause of GOO in the developing world however, there is growing evidence proving the contrary. Males were (more commonly) affected females and individuals in their fifth and sixth decade have been the predominant age group in the majority of studies. There is a minimal data of GOO from South India. Aims: A retrospective analysis of the endoscopic findings of patients presenting with features of GOO to determine the demographic and etiological patterns. Materials and Methods: A retrospective study of the endoscopic findings of patients with GOO from January 2005 to January 2014 was done. The diagnosis of GOO was based on clinical presentation, and an inability during the upper endoscopy to enter the second portion of the duodenum as documented in the endoscopy registers. Patients who have already been diagnosed with malignancy prior to the endoscopy were excluded from the study; so were the patients with gastroparesis. 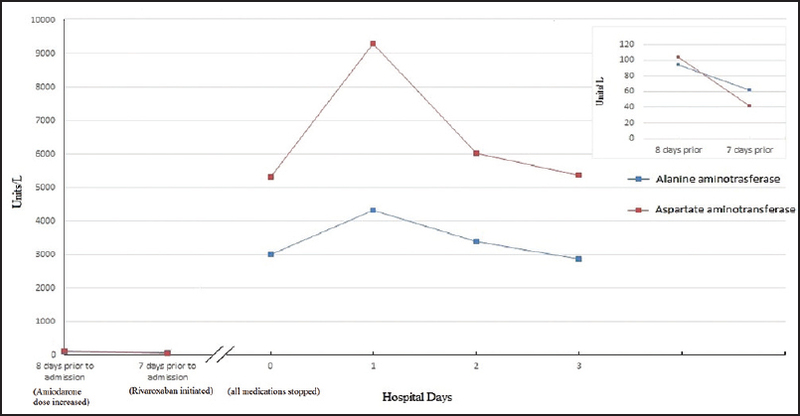 Results: A total of 342 patients with GOO underwent the endoscopy during the study period. The causes for benign obstruction were predominantly peptic ulcer disease. The major cause for malignant obstruction was carcinoma of stomach involving the distal stomach. The male to female ratio was 3.2:1. The patients with malignancy were older than patients with benign disorders. Most of the patients were in the sixth and seventh decade. The risk of malignancy was higher with increasing age, especially in women. A fourth of all carcinoma stomach presented with GOO. Conclusion: The study demonstrates that the cause for GOO in Kerala, South India is predominantly malignancy. The etiological and demographic patterns were similar to the studies conducted in the developed nations. Context: Rivaroxaban is a direct factor Xa inhibitor approved for the prevention of thromboembolism. Drug induced liver injury has been increasingly reported with rivaroxaban recently, but actual liver failure has not been reported. Case Report: We present a case report on the probable occurrence of acute liver failure with rivaroxaban therapy. An 89 year old woman with history of atrial fibrillation was hospitalized for biventricular congestive heart failure with passive congestion of liver, which responded to furosemide. She was discharged home on rivaroxaban for prevention of thrombo-embolism. Liver function tests upon discharge returned to almost normal range. One week later, she presented with abdominal pain and was found to have highly elevated liver enzymes, elevated bilirubin, and an abnormal coagulation profile. A day later, she developed hepatic encephalopathy, suggesting liver failure. Conclusion: Liver enzymes declined rapidly with the discontinuation of all of her medications, however patient died because of multi-organ failure. The causality assessment in this patient was "probable" with rivaroxaban. Context: A clinical case of a tibia plateau fracture is presented which was treated with balloon osteoplasty and arthroscopy guidance. Balloon Tibioplasty has been shown to be a very useful method for the management of tibial plateau fractures. The use of calcium phosphate has been described in the literature for management and restoration of bone defects in tibial plateau fractures. Case Report: A 45-years-old Caucasian woman was presented after a fall from a ladder. The patient sustained a lateral tibia plateau fracture which was classified as Shatzker type III (AO 41-B2) with posterolateral depression of the joint surface. 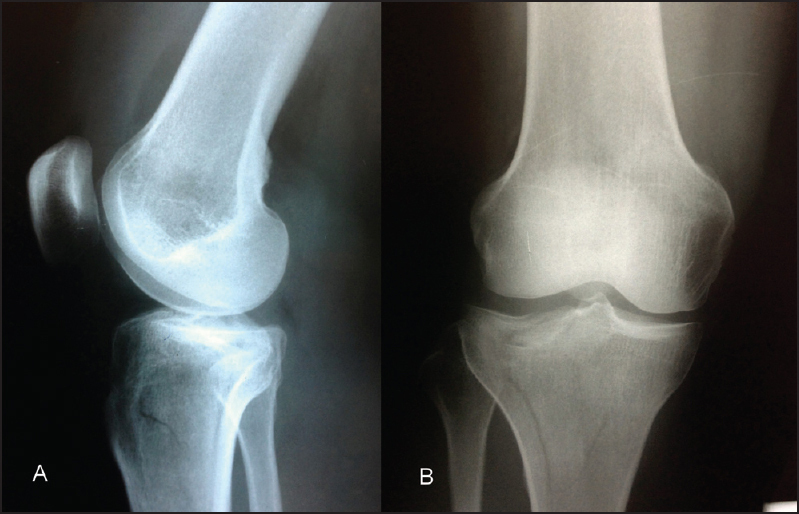 Surgical treatment was applied using a minimal approach which included percutaneous reduction of the fracture under arthroscopy and fluoroscopy guidance. The bone defect was filled with calcium phosphate via injection. The clinical outcome at the 6, 12 and 24 weeks was excellent with full-range of motion of the knee joint. Conclusion: Arthroscopy assisted balloon osteoplasty seems to be a safe and effective method for the treatment of depressed tibia plateau fractures. Further study is needed for the proper evidence based use and application of this method. Context: Hemophagocytic Lymphohistiocytosis or the "Hemophagocytic Syndrome" is a spectrum of disorders of regulatory immunomodulatory pathways inciting phagocytosis of hematopoietic cells resulting in end-organ damage. The condition appears in both heritable and non-heritable forms from a multitude of possible environmental triggers, most notably infection. The condition often results in a fatal outcome without prompt diagnosis and treatment. Cases in children have been reported much more frequently and classically than in adult patients. Case Report: In this case series we examined five such cases in adult patients that were found at our institution in a window as small at 2 years with more cases having presented since the time of this writing. In these cases, likely triggers were found ranging from infectious, drug-inducing and even underlying malignancy. The condition can be diagnosed by a set of laboratory and physical criteria (Hemophagocytic Lymphohistiocytosis -2004). Treatment ranges from immunosuppressive agents to chemotherapeutic approaches with variable success. Conclusion: Clinicians must maintain a higher index of suspicion in cases presenting with ominous symptomatology to ensure a prompt diagnosis and effective treatment of this potentially deadly condition.